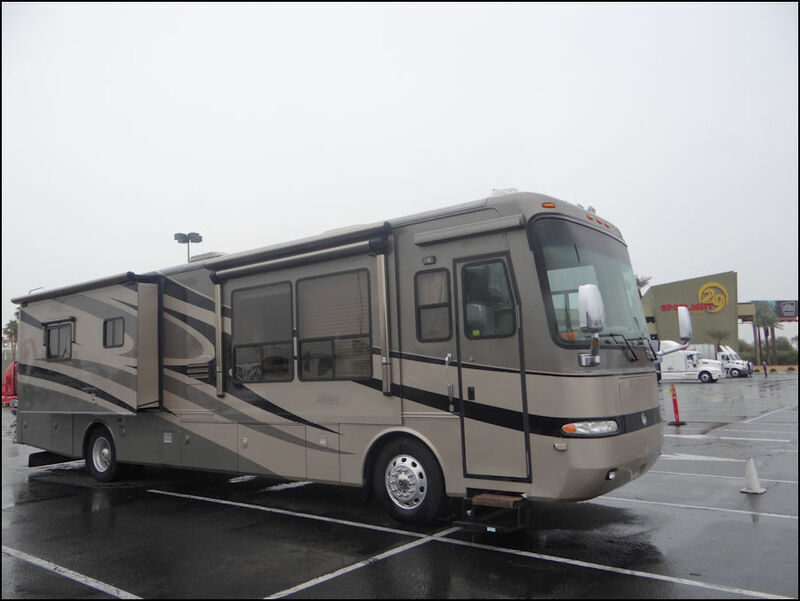 At our FMCA Western Regional Rally Full Time RV Travel Wannabe Seminar, 42 RVers attended. What could we possibly tell them about full time travel that they wouldn't learn on their own? Nothing! However, by attending the seminar they get to learn in one day what it took us 13 years to absorb. Here is the class syllabus. Safe dry camping: Walmart, Cabellas, CrackerBarrel, TruckStops, Churches, Homes, more. This information is from a portion of 20 pages of www.BigRigBible.com. The other 880 pages cover a lot more. The seminar is fun to present. We tell the attendees to interrupt with questions at any time as answering their specific concerns is more important than hearing us blathering on about the bullet points. 1. "You've been moving about for 13 years, where are you going next?" 2. "How do you get mail and packages?" 3. "What's your favorite place?" 4. "How much does it cost to travel full time?" 5. "What RV organizations or clubs do you belong to?" 6. "What is a domicile state?" 7. "How long will you keep traveling?" 8. "Where will you live when you are done?" In the next few weeks we'll share our answers to these inquiries, starting this week with "Where are you going next?". Answer: "We don't know!". Our thought was after the rally to return to Catalina Spa RV Resort in Desert Hot Springs. We called and since we left three days ago, the park was full. Now what? At the time of the FMCA rally we were parked at the Indio California Elks Lodge. Since rain was predicted for the next few days, it made no sense to pay for a nice resort. We moved at few miles to the Spotlight 29 Casino in Coachella. 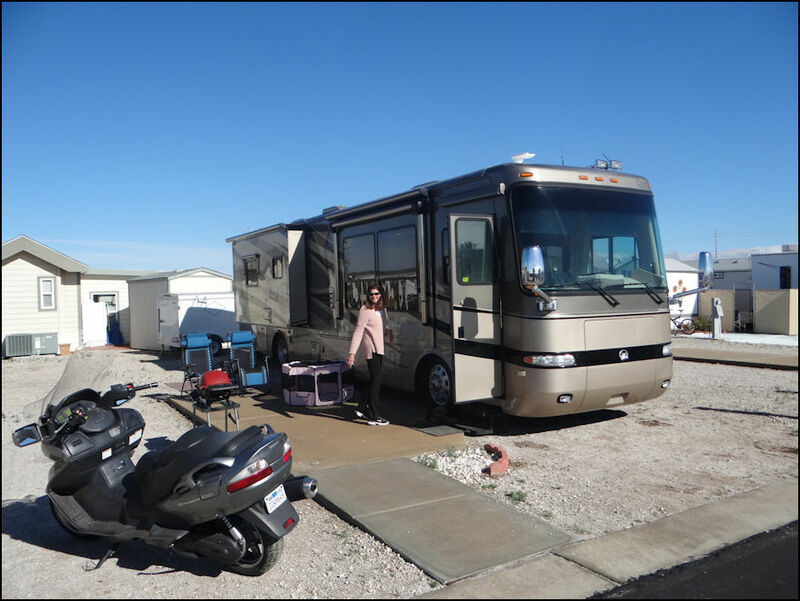 It was free and unlike many gravel RV sites, we parked on clean and level asphalt. This is great to keep Mandy clean. We stayed one night and then moved on the Arizona where the price for diesel fuel was $1.15 less per gallon than in California. Whee! 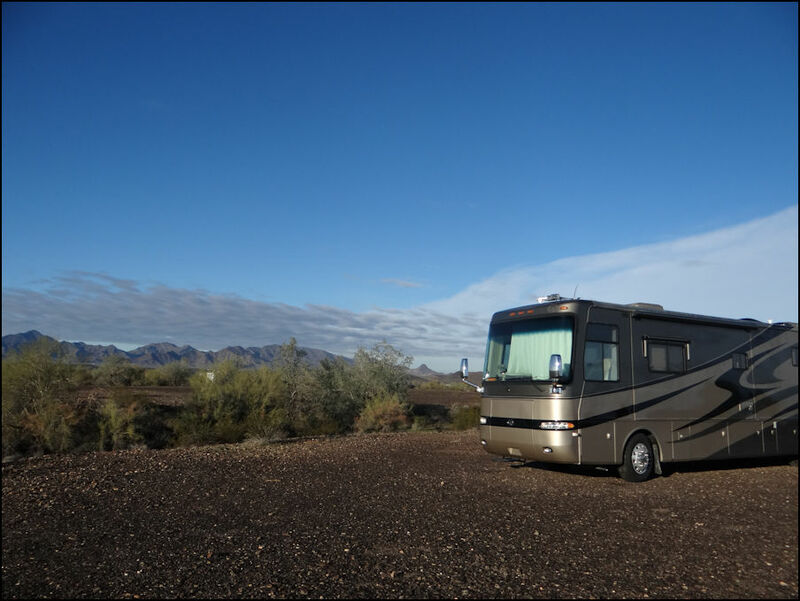 Our next RV park destination was in Yuma, Arizona. 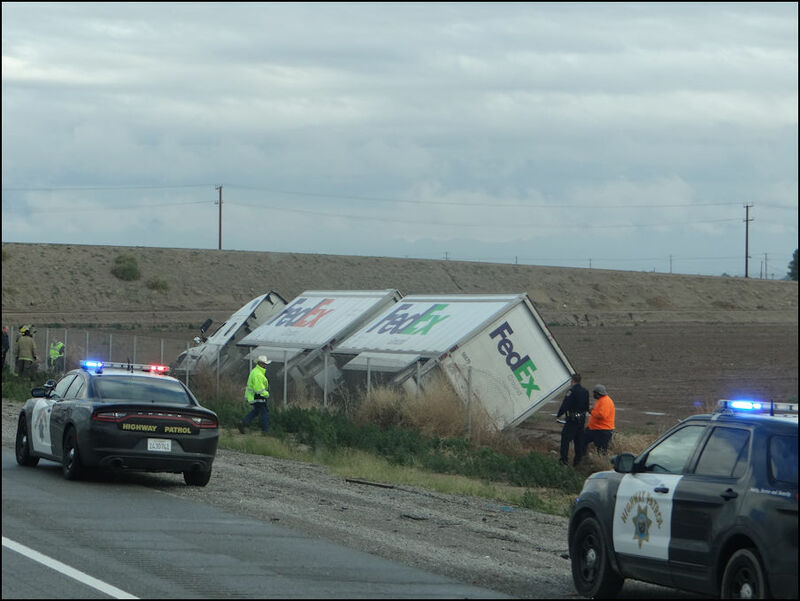 A little mishap near Blythe, California. It looked as if no one in the truck was hurt. 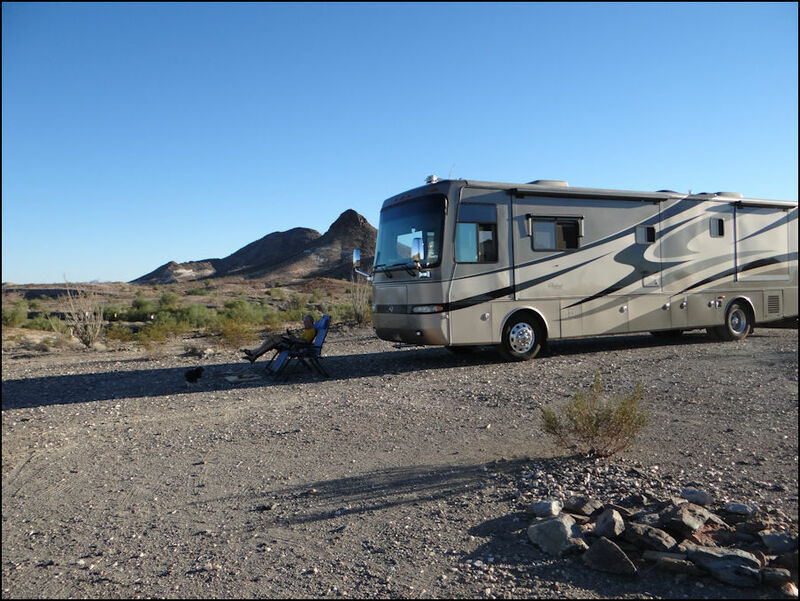 We continued our search for a new spot and ended up at the La Posa BLM campground. Normally this is not a free spot, but the fees are minimal. We read the note that there was a daily fee, however, there was no staff, no registration forms and no drop slot. So we spent a free night before moving on to Yuma. We arrived in Yuma at Rancho Rialto RV Resort. This new-to-us park had a first-time guest monthly fee of only $440.00 plus electricity. Note that we rarely get reservations and this was no exception. When we arrived there were two sites left and a couple before us was out looking at one of them. 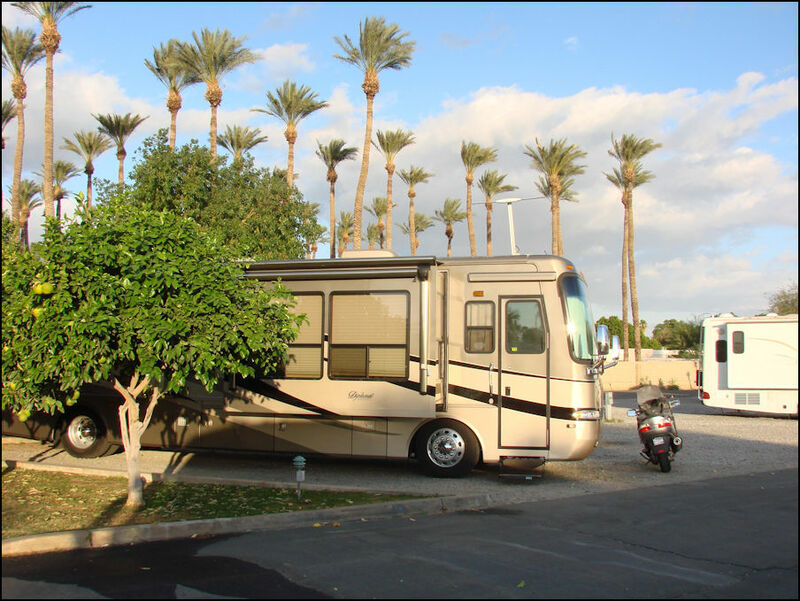 There are over 100 RV parks in Yuma. We did call three other parks we have previously stayed at and all three were full or did not answer the phone. We took the site at Rancho Rialto. Jehovah Jireh ("the Lord provides"). 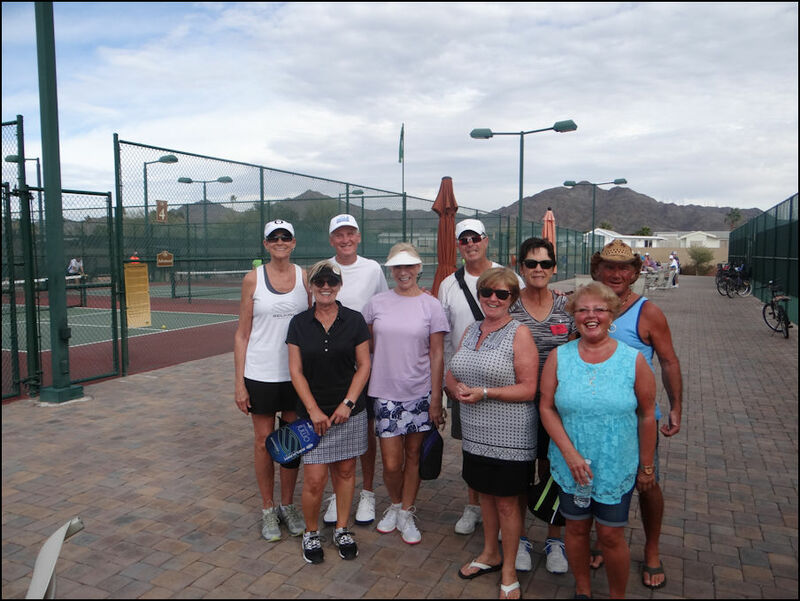 As Ellen is able to play pickleball again, we were delighted that Rancho Rialto has pickleball. The park has only one court and about eight players including us. It is fun but not real competitive. No problem, we have friends at Fortuna De Oro and they invite us over in the afternoon for some spirited play. All of these folks are players we met and play with at Golden Village Palms in Hemet California. 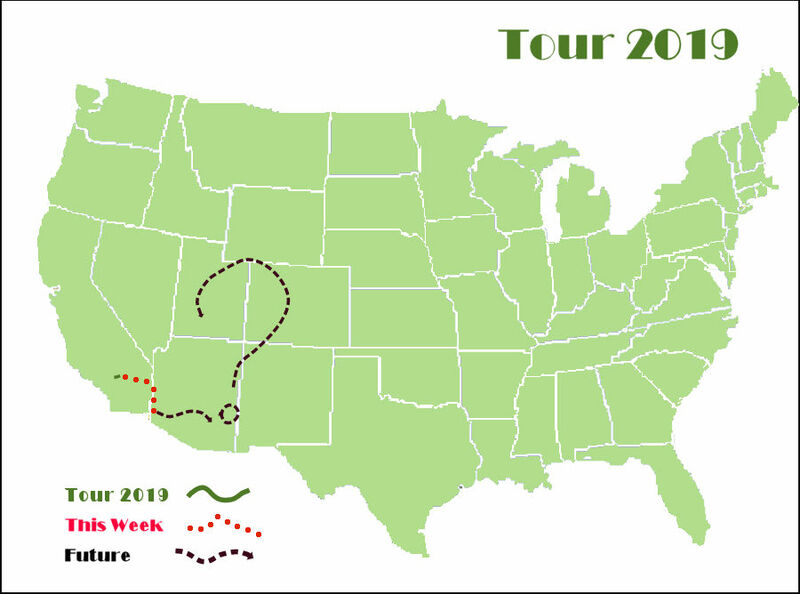 So, after a month in Yuma, "Where are we going next?" "We don't know!". We know many folks that HAVE to know their trip itinerary. But, we don't which makes each move an adventure. If you work and have a limited time to travel, of course you want to reserve your sites. But, traveling full time, we don't want any constraints. Any mandatory location cuts out your options. Without a schedule, if you like your current spot, stay longer. If you don't, leave sooner. Schedules take away your flexibility. But what if you can't stay where you want. That happens at times, like not being able to stay at Cat Spa and referee their upcoming pickleball tournament. That's okay. We're in Yuma for $200 less per month, warmer weather and rather than refereeing, we are playing. Yippee! 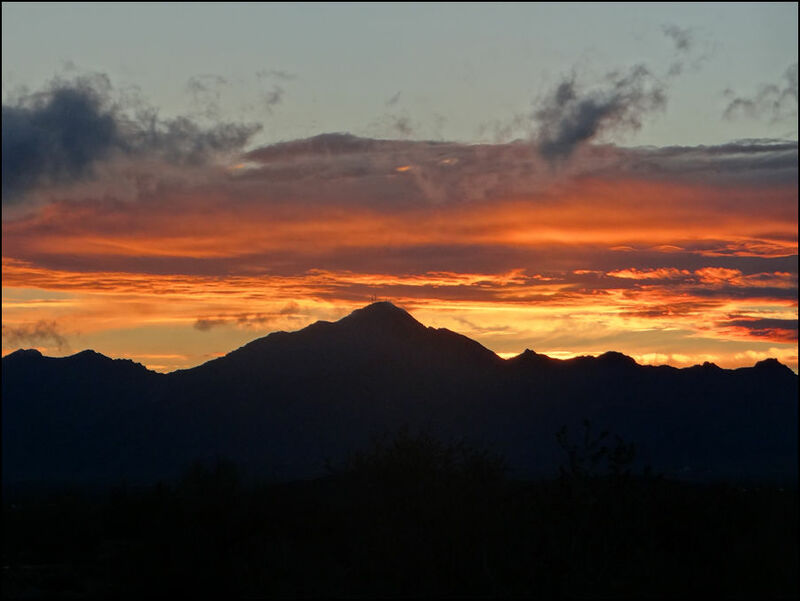 For the next three weeks we'll be in Yuma and answer other seminar questions. Until then, be blessed.